Today we get our second solid look at what will easily be one of the biggest films of 2014… Warner Brothers’ GODZILLA, starring Aaron Taylor-Johnson, Elizabeth Olsen, Bryan Cranston, Juliette Binoche and David Strathairn. Directed by Gareth Edwards (MONSTERS), this promises to be a pretty amazing cinematic experience. 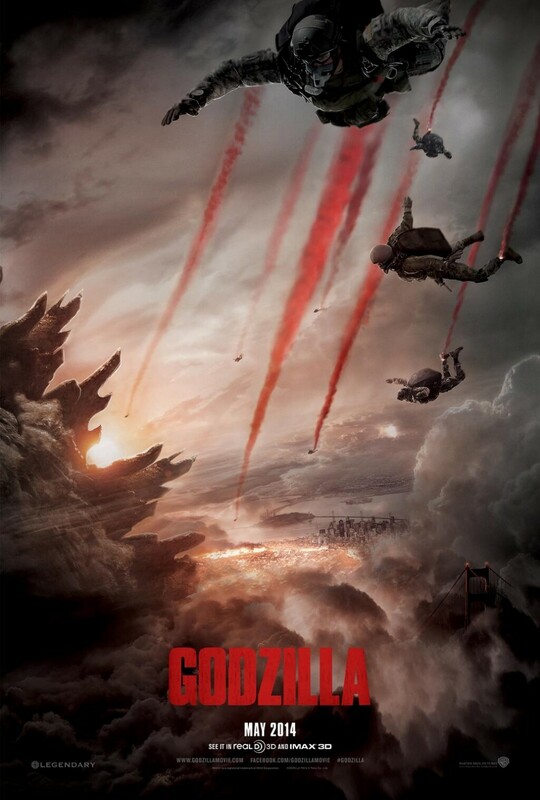 GODZILLA is definitely one of our most-anticipated films of 2014, but what about you? Check out the newest trailer below (we assume it’s definitely not the last) and tell us your thoughts in the comments. The poster is definitely feeding off of many of the images we see from the first half of the trailer. What are your thoughts on the poster as well? GODZILLA will rise on May 16, 2014.